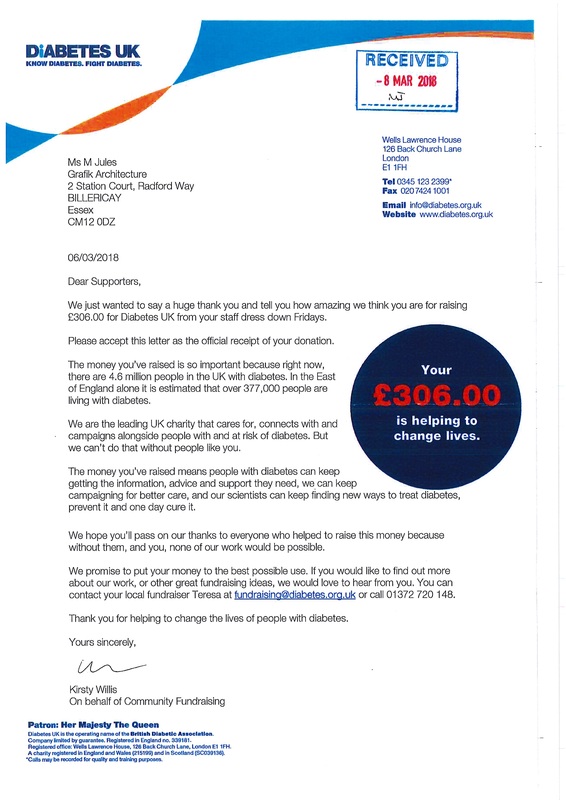 Well done to all the staff for raising £306 for Diabetes UK from dress down Fridays. 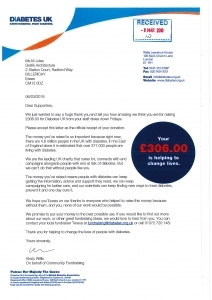 Diabetes UK are the UK’s leading charitable funder of diabetes research. They improve lives through pioneering research into all forms of diabetes and diabetes-related complications. The work they support helps us understand the causes of diabetes, bring about life-changing breakthroughs in care, treatment and prevention and bring us closer to a cure. In 2015 they invested over £6.8 million in diabetes research and agreed to support 33 new studies.